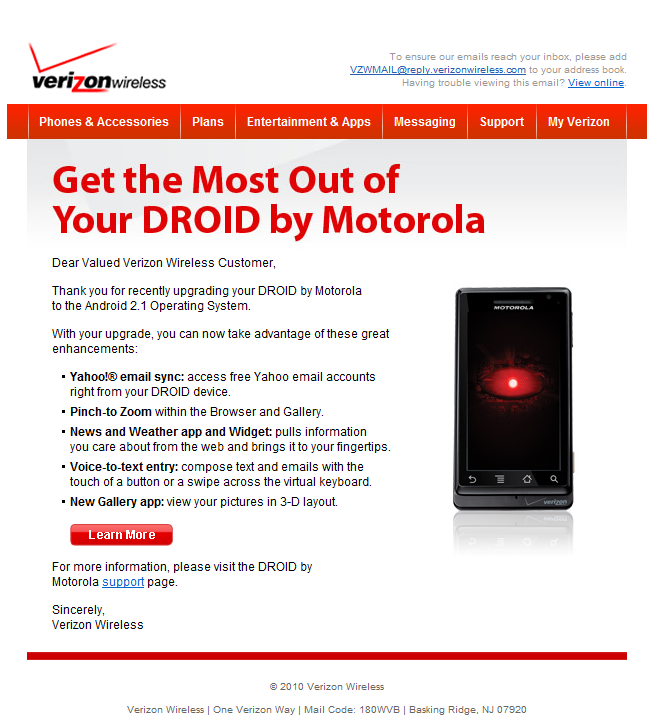 I would guess that today really does mark the end of the 2.1 OTA update rollout for the Droid as Verizon is apparently sending out confirmation emails to users who have updated and opted-in to email notifications. Anyone else receive one of these today or yesterday? Waiting for DroidMod to Root 2.1? Stop Now.